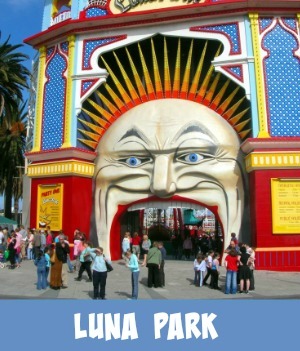 Port Melbourne is a suburb of Melbourne, Australia, 5 km south-west from Melbourne's Central Business District with the beach stretching along the top eastern end of Port Phillip bay. The beach is close to the CBD district and has excellent public transport access. Dotted with palm trees and wide open sany beaches, this area is a favorite place for families to spend time. Because of restricted parking in this area the beach is quite a favorite with the locals who live in the area rather than with tourists. South Melbourne and Port Melbourne Life Saving Clubs patrol the beach between the Kerferd Road and Lagoon piers. At both clubs you will find toilets, dressing rooms and kiosks. 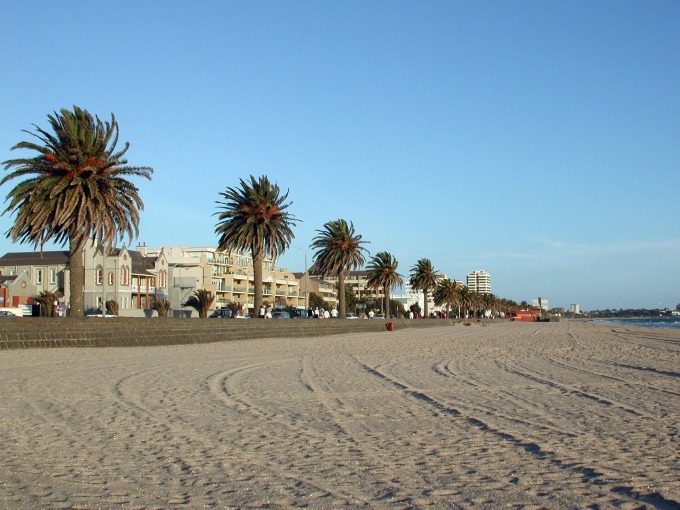 Port Melbourne Beach is one of the closest patrolled beaches to Melbourne city with the Beach Lifesaving Club situated on the foreshore along Beaconsfield Parade. Along this stretch of foreshore there is a low seawall and promenade. When waves are low the beach is quite safe to swim at, however it is advisable to stay on the sand bar and in the patrolled area in front of each club. You can also surf when the southerly winds are high enough. At the end of each of the Kerferd Road and Lagoon piers you can fish as the waters are quite deep. To the east of Lagoon Pier the beach is quite narrow since the vegetated dunes occupy a large area and are fenced off. All along this area the sand dunes are being re-vegetated with native plants and it is appreciated that you walk on the designated tracks so as not to disturb the plantings. 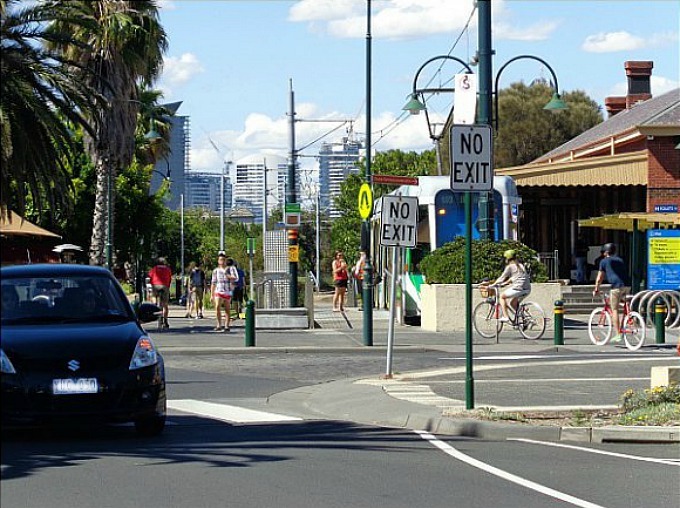 Where Is Port Melbourne Beach? To understand just exactly where Port Melbourne beach is in relation to the central business district of Melbourne check out the Google Map here. As you can see the beach plays a major role in supporting tourism with Station Pier sitting right in the middle of the beach area. 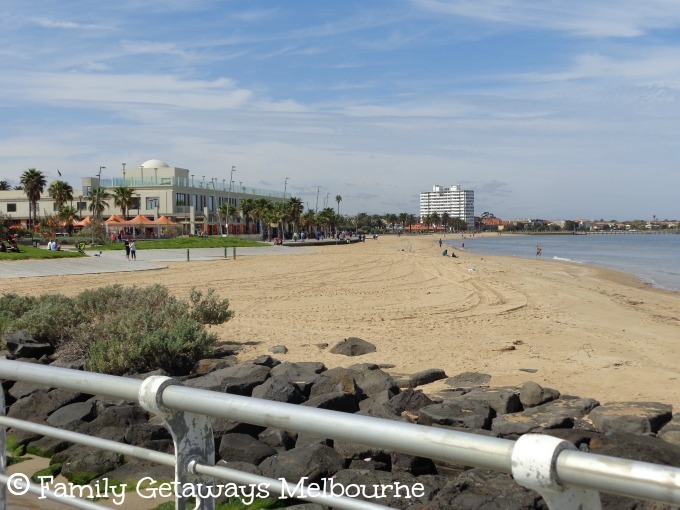 The beach also affords the general public a bike and pedestrian bay trail that sees local and tourists alike the perfect way to explore Port Phillip Bay. The Bay Trail is a shared use path for cyclists and pedestrians which follows the coastline of Port Phillip Bay through the south-eastern suburbs of Melbourne, Victoria, Australia. There are two famous piers that are part of this beach area being Station and Princes Piers. Both were major places of arrival to Australia for immigrants in our early history. 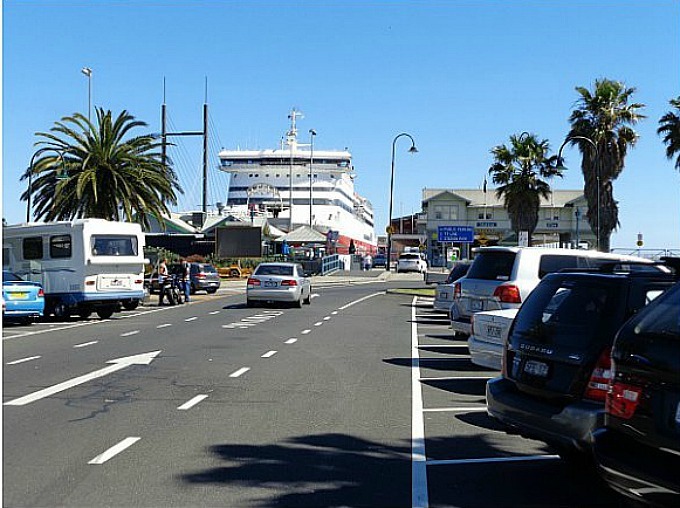 Nowadays many luxury liners, naval vessels and ferries arrive at Station Pier, including the daily ferry service, the Spirit of Tasmania. 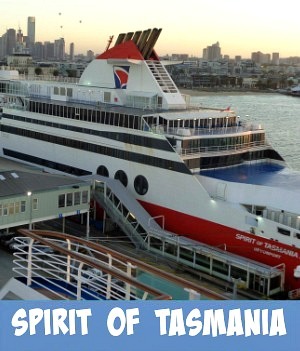 The Spirit of Tasmania sails between Melbourne and Tasmania's Devonport with the trip taking approximately 9-11 hours. 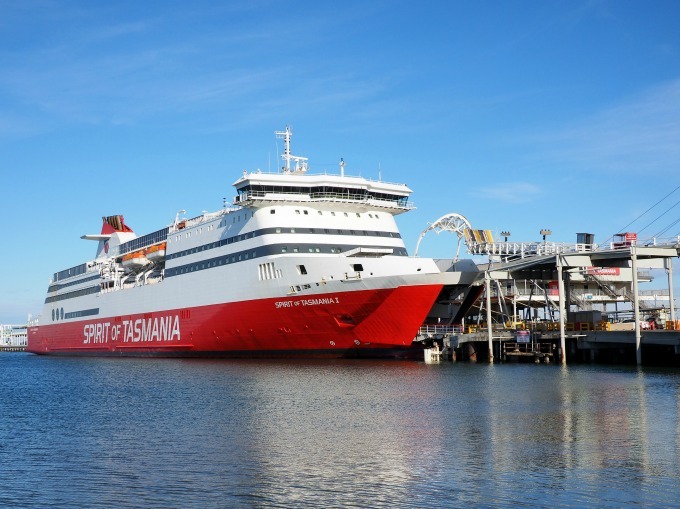 It is a car and passenger ferry service shuttling passengers between the mainland of Australia across Bass Strait and onto the beautiful and unique island of Tasmania. 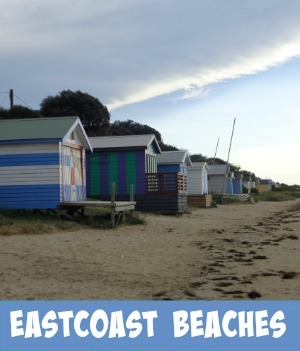 Check out what you can do once you hit the coast of Tasmania! 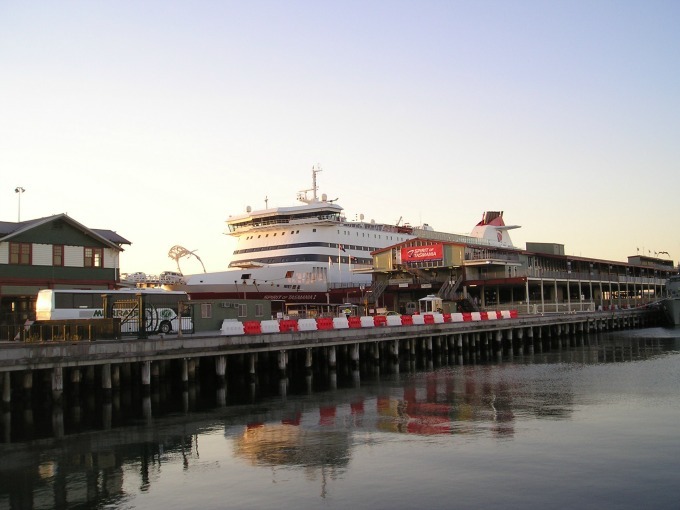 An exciting outing for the family is to pop on down to Station Pier at Port Melbourne and check out the huge cruise ships that visit Port Phillip Bay regularly particularly during the Summer cruising season. 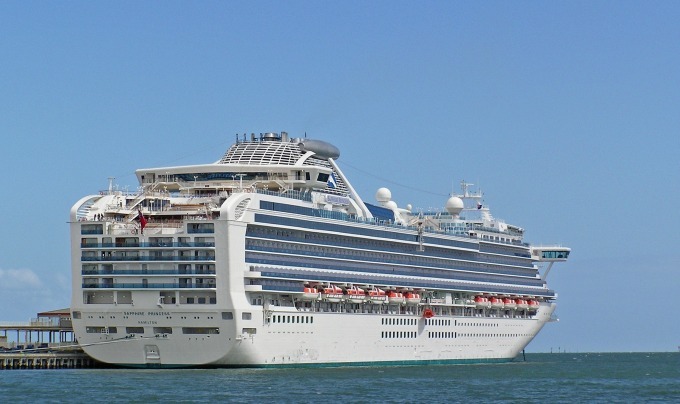 I even went so far as to enjoy a cruise to New Zealand on the Dawn Princess when Melbourne was her home port. Beacon Cove features a waterfront promenade and palm-lined boulevards. Out to sea there are 2 sea beacons that have been retained during the urban upgrade from industrial to residential. 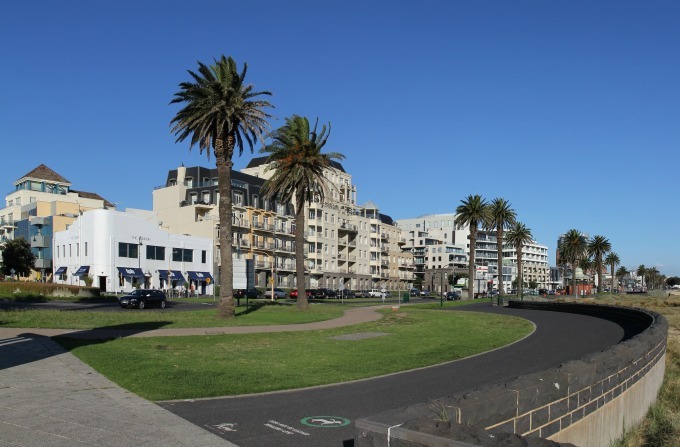 Beach street was rerouted away from the direct shoreline and apartments were subsequently built that have direct access to the beach and the Port Melbourne beach promenade. From Beaconsfields Parade you have direct access to the soft sand and cool waters of Port Phillip Bay and sitting on the bluestone promenade fence you can watch the hustle and bustle going on over on Station Pier. This area also makes for an excellent spot to snap a few photos of this famous beach's activities. Strolling along on a beautiful sunny Melbourne day is a favorite pastime of locals and tourist alike. 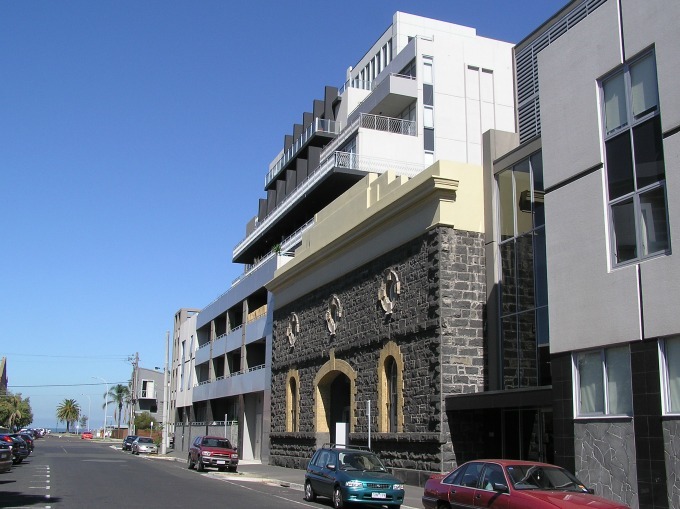 Modern high rise apartments dot the promenade as well as modernized period buildings. 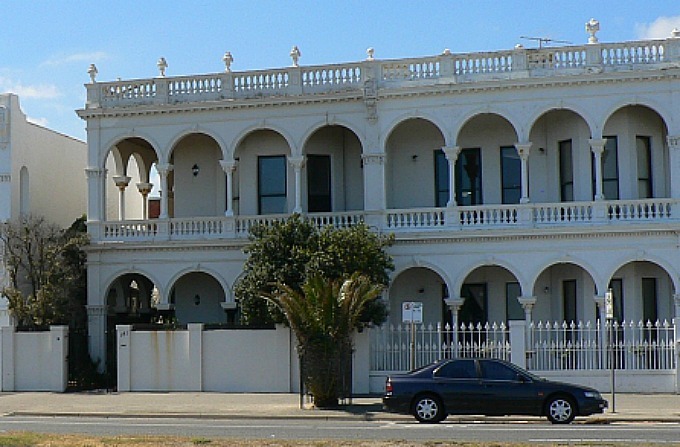 Wandering the streets of Port Melbourne can also provide a pleasant experience as a lot of the heritage buildings have been preserved and incorporated into modern day buildings and apartments. 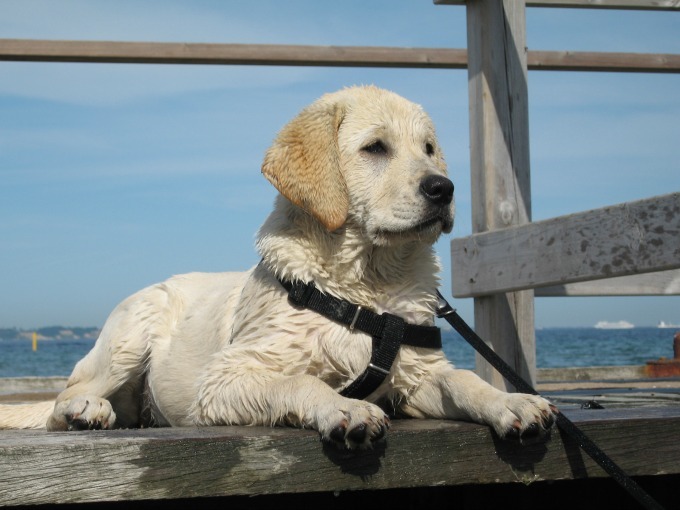 Between Port Melbourne Yacht Club and Lagoon Pier, dogs are allowed off-leash at all times. Parking permits are required in this area - A Foreshore permit is a vehicle registration based permit sticker that is affixed to the windscreen of your vehicle. Follow the link for more details. What Do Beach Tennis and Italy Have In Common? Beach Tennis was founded in the Emilia Romagna region of Italy in around the early 80’s, hence the connection, and now is becoming a popular sport here in Australia with international championships sometimes being played right here on the Port Melbourne beach foreshore. Down on the foreshore you will find the home of Beach Tennis Australia. Beach Tennis is a game that combines tennis, beach volleyball and badminton and is played on the beach. The racquets are made of fibreglass and graphite but have no strings. It’s a solid face. The balls are low compression balls and the game is played with volleys. If the ball touches the sand then you are out! The Australian International Beach Tennis Championships are held every year here in January at Port Melbourne. Holiday clinics for the kids are held regularly as well as organized corporate team games events. You can even book fun days and birthday parties! If it's an exciting up close and personal interaction with a huge ocean liner, a fun game of beach tennis, a pleasant stroll or bike ride along a beautiful foreshore, a glimpse at some of Melbourne's prestigious apartment dwellings or just a general day out with the family then Port Melbourne Beach is a great place to visit. Why not take in more of Melbourne's amazing coastline and attractions riding on a Harley Davidson. Book your Trike Tour now while you have the sudden urge.